ORIC S.A.S is a family company, specialized since 1975 in the manufacture and sale of high performance products. 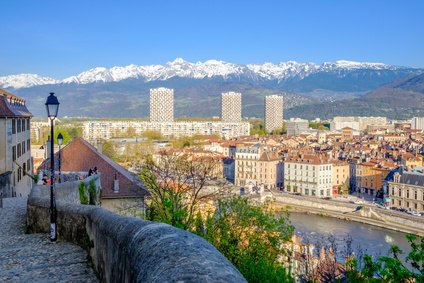 Based in Grenoble, the company offers a complete range of superalloys including cobalt bases (Stellite ®), nickel bases (Inconel ®, Hastelloy ®) and tungsten carbides. Provided as hardfacing products like TIG rods, Flux cored wires, PTA powders, Electrodes for maintenance service operators or as raw bars for machine shops, ORIC S.A.S has several technical ready-made solutions. Depending on the needs, the company also offers various services such as the manufacture of casting parts, spare parts protection with hardfacing process and machining of mechanical parts according to drawings. All these skills allow ORIC S.A.S to shine on the international scene and to work with many sectors such as petrochemicals, valves, plasturgy, galvanizing or hydro-electricity. Our mission is simple : to satisfy our customers by improving the performance of their industrial equipments.